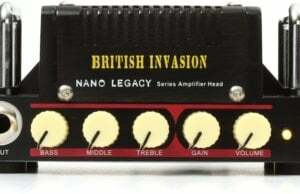 Read our expert reviews to find the best electric guitar amplifiers on the market. Performer Magazine will guide you through the process of choosing the right guitar amps, both large and small, as well as how to get the best sound from your guitar amp on stage and in the recording studio. Learn how to properly record guitar amps and dial in the best tone for live gigs. We also explore the best new guitar amps on the market in in-depth amp reviews and product demos, including recommending the best lunchbox amps and the best low-wattage amps you can buy. And finally, learn the difference between tube amps and solid state amps, and which is the best for you.